The first official trailer for the next Pokémon film – Pokémon The Movie: Mewtwo Strikes Back Evolution – has now been released, giving us a juicy tease of things to come. Make sure to check it out above. This film will be the 22nd movie in Pokémon’s cinematic history and the third movie in the franchise’s recent alternate continuity, following on from Pokémon the Movie: I Choose You! (which loosely followed the story of the anime’s opening season) and 2018’s Pokémon the Movie: The Power of Us. 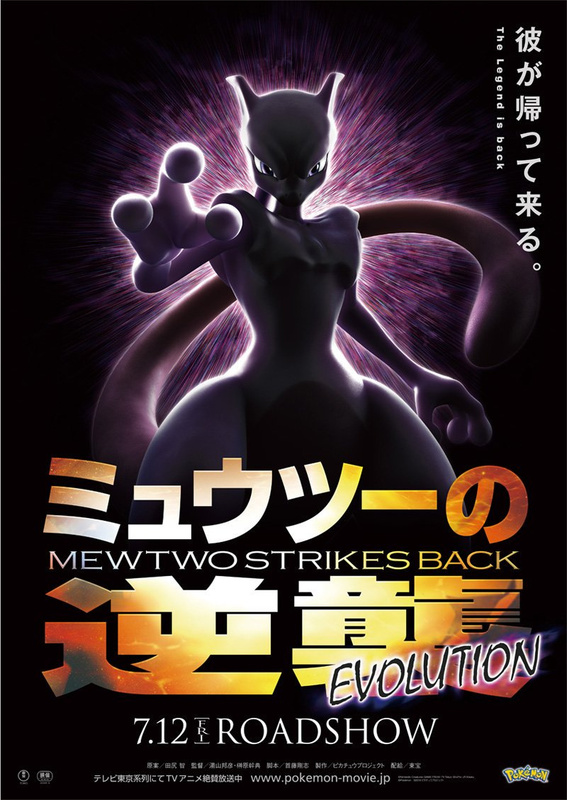 This new adventure acts as a callback to the very first Pokémon film, Pokémon: The First Movie – Mewtwo Strikes Back, which first released in Japan back in 1998. As well as the trailer, two official images have also been released. The first is a screenshot from the movie which was shared just earlier today, and the second is an official poster for the film, boasting its ‘The Legend is Back’ strapline. The film is set to debut in Japanese theatres on 12th July 2019 – if recent Pokémon movie trends are anything to go by, this means that we’d expect it to arrive in Europe and North America sometime around November 2019. What do you think? Are you excited to see this one at the cinema? Share your thoughts with us in the comments.